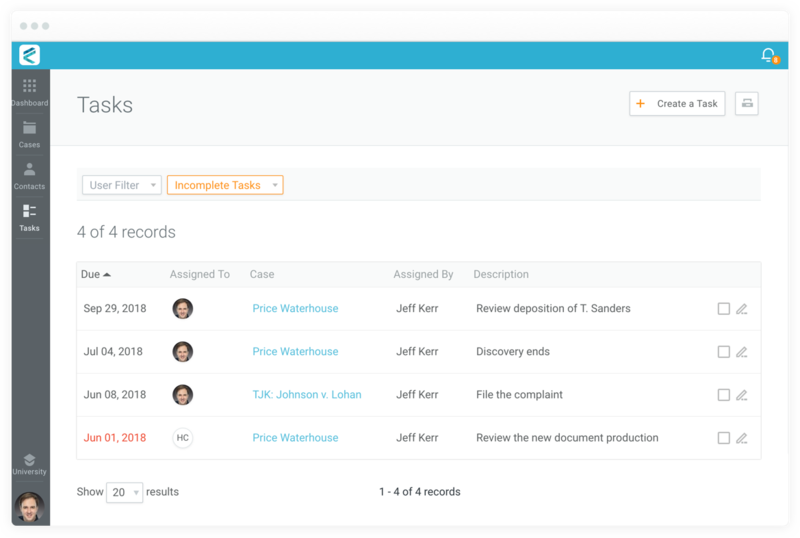 With Tasks, you can allocate work between team members and track who is responsible for the different aspects of each case. Keep your tasks in the same system you use to manage your cases. 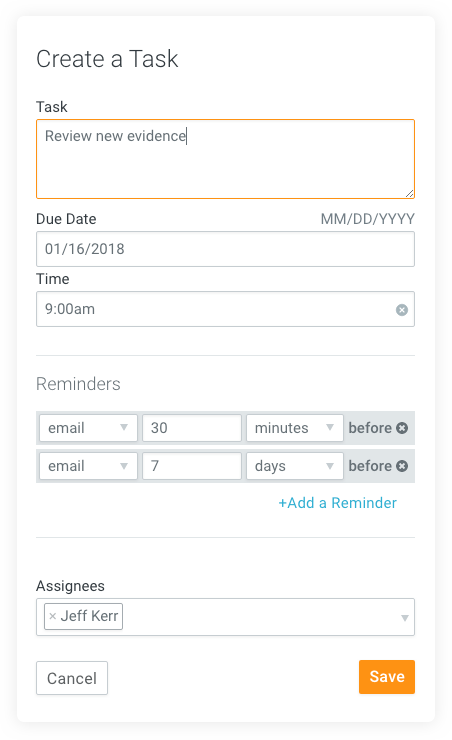 Each task can be assigned to one or more users, and you can create personal email and popup reminders to ensure you never miss a deadline. 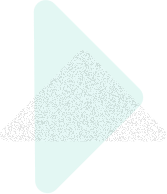 Tasks are now available in all areas of CaseFleet. You can view the tasks assigned to a particular case within that case, or you can view all of your upcoming work from the main tasks list.